Blink XT vs Arlo Pro-Nowadays, people invest in different smart gadgets that can help them raise their overall home security level. There are hundreds of products on the market that promise to make functional security systems.One of the most prominent devices that increase the overall security of your home is a security camera. There are dozens of manufacturers of security cameras who declare that they make the most promising and reliable gadgets. Two of the most popular and well-known manufacturers are Arlo and Blink.Here we have done an indebt review to find out how the most popular security cameras from Arlo and Blink relate. We have to check whether there are significant differences, how they look alike and which of these two take first place. Are You In a Hurry, then checkout the Blink XT and Arlo Pro below! In this Blink XT vs Arlo Pro article, we will review, compare and evaluate the most critical aspects of these security cameras. We will present various interesting graphs, and finally we will conclude the comparison article with a reasonable judgment. Blink and Arlo have created the most exciting and innovative products on the market. Both companies are known for inventing the most promising and ready-to-use products.They both offer great features, flexibility, high reliability and maximum comfort. So let’s start by looking at both security cameras and discover what’s so good about them. Let’s start with the basics. The first thing a buyer needs to know about the product he is going to buy is whether it is easy to install. Fortunately,installing both security cameras (Blink XT vs Arlo Pro) is fairly easy. 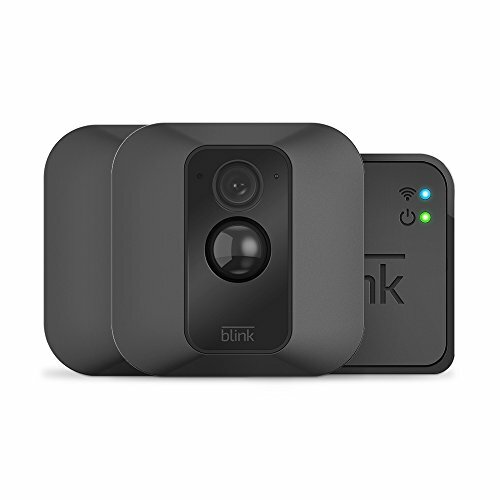 Setting up Blink Camera is fairly simple and it only takes a few minutes to complete. As expected, Blink is a do-it-yourself surveillance camera and no professional knowledge or help is needed. Download the Blink Mobile App – download Blink’s mobile application by entering a simple keyword ‘Blink Home Monitor’ in the search bar, creating an account with a valid e-mail address and you are ready to go. Set up the synchronization module – Sometimes people get confused about this part, so instead of writing a manual, I will put a vid (the video shows the first generation Blink, but the process is the same) below that perfectly explains how to do this complete step of our institution process. Add cameras – At this point you will see a button ‘Add a blink camera’ and by clicking on it, a prompt will appear where you can enter the serial number of your security camera and all you have to do is complete a few more to step. Arlo Pro is known to be the simplest security camera to set up. It takes a few minutes to complete and there is no way to get confused during installation. I will not write a step-by-step guide to the Arlo Pro configuration process because Arlo has uploaded an excellent manual explaining how this should be done. It is a piece-of-cake process that takes a few minutes to complete. It is so intuitive that even a novice user like me managed to finish it without referrals and extra assistance. If the above video does not contain enough information for you, consult the user guide for more information. Finally, contact the Arlo support team. They help you to solve every problem. Nowadays it is essential that a modern gadget is functional and attractive. Smart home customers rarely buy smart products solely on the basis of their functionality. It is therefore vital that our security cameras are both functionally and visually attractive. Blink XT Security Camera is one of the most attractive security cameras I have seen. Blink has thousands of owners and I have spoken with several. They all mentioned how beautifully designed Blink is and how their visitors like to compliment the appearance. Visually, Blink XT is a beautifully designed smart security camera that is only available in black. Compared to other security cameras, visually Blink takes one of the top spots. excellent security camera that transforms the way your house looks. The dimension of the Blink XT security camera is 3.23 x 8.98 x 9.06 inches and weighs about 2 kilos. So it fits everywhere. We said that Blink Security Camera is one of the best looking products on the market. Well, Arlo Pro is the most beautifully designed security camera and nobody argues with it. Every owner of the Arlo Pro security camera has said how great it looks. The dimensions of Arlo Pro is 2.8 x 1.9 x 3.1 inches and weighs about 1 pound. So Arlo Pro can easily be placed anywhere inside and outside. I own the Arlo Pro security camera and can certainly say that it attracts a lot of attention. It is visually one of the most exciting and striking security cameras ever made. Honestly, if you want a stylish, modern and functional security camera, Arlo Pro is one of the best options out there. Discussing the characteristics of these security cameras is one of the most critical aspects of our comparison article. Before deciding which security camera to buy, we need to know the characteristics of these two models to know exactly which of them meets our needs. To do this, we have created a fantastic map with the features of both Arlo Pro and Blink XT Security Camera. Based on the graph above, both security cameras have pretty good functions. Yet there is a considerable difference between them where Blink XT is slightly better because of the camera possibilities. Knowing the performance options can be considered as the most important aspect of our comparison article. In addition to everything we have discussed, it is essential to know how well Arlo Pro and Blink XT Security Camera can perform. 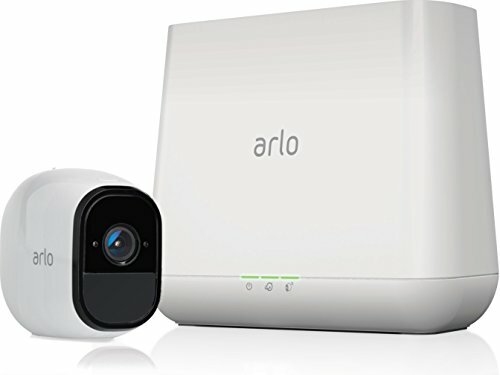 So we have to analyze and compare the performance of Arlo Pro and Blink Security Camera, and find out which of these two take first place. Blink XT is one of the most striking security cameras on the market that has proven its worth a thousand times. Blink Security Camera is a good working device and we discuss below the unique features and specifications. Let’s start with the most important things. Blink XT has an infrared night vision that provides a clear picture at night. As we have tested, Blink XT shows it up to 20 feet. The video quality is the most crucial aspect of a security camera, and while Blink XT offers sharp 720p recording capabilities, it will soon be able to record in 1080p. Compared to other wireless security cameras, Blink XT is a first-class player that makes ready-to-use recordings. is detected. You will also receive a notification on your smartphone if Blink detects movement or action. Unfortunately, Blink does not offer local storage, so when it takes a clip, the system uploads it to the cloud. Each user receives approximately 7,200 seconds of footage until old clips are removed and the new ones are added. It may not be much, but it can meet the needs of some customers. If you want to keep the old recordings for any reason, it is possible to download those vids on your smartphone. You can not share live streams with other people, but after downloading the videos you can quickly send them via email or other platforms. Again, the night vision equipment was of high quality and expected nothing less from Blink XT. In terms of quality, the recorded clips were just as good as the livestream. We had a few detection for fake movement detection at night, but it’s nothing to worry about. With the right sensitivity levels you have no trouble at all. What you need to know about the Blink XT is that you have to manually switch on and off your security camera. But Blink has the schedule function that allows you to set specific time periods when Blink XT needs to be Armed or Disabled. In this way it is still possible to automate the process. The two main shortcomings of Blink XT are the lack of two-way audio and smart movement functions. Blink has trouble detecting whether a tree or a car has activated the motion sensors. This is important for an outdoor camera, because the security camera may send many false messages. Many see Arlo Pro as the complete security camera on the market. With its innovative functions and capabilities, Arlo Pro surpasses every other security camera in terms of performance. Like the Flashing security camera, Arlo Pro will only record clips when it detects activities in its field of view. We have said that many consider the Arlo Pro the most advanced and complete security camera, but it has its flaws and sometimes it can be pretty annoying. What we’ve noticed is that when Arlo Pro detects activity and a notification appears on your phone, there may be a 3-second delay that slows down the implementation of the live feed. The video from Arlo Pro is fantastic, and I can say that it incorporates a completely clean quality. Some may not agree that the 720p camera is sufficient, but if you think more about it, it makes sense that Arlo Pro has not been upgraded to 1080p. Because Arlo Pro offers FREE cloud storage, videos recorded with 720p quality take up less space, so there is more room for other clips. If you are interested in how well Arlo Pro can record clips, then I leave a nice video that perfectly shows the quality of the security camera. The video quality is reasonably good and detailed. Arlo Pro offers identical live feeds and recorded videos. So do not think that the recorded clips are less visible or clean. Another thing you need to be aware of is the sensitivity levels of Arlo Pro. In the beginning, when I got my Arlo Pro, it always sent false messages and I occasionally pressed the live button. A little later I found that there was an option with which the owner could control the sensitivity levels of the security camera. So if you receive false notifications from Arlo Pro, you can simply change the levels so that they are adjusted and arranged more. The viewing angle of 130 degrees from Arlo Pro is somewhat narrow compared to other security cameras. At first I thought it would be a serious problem, but it played pretty well. I have never had problems with arranging the indoor or outdoor activity. The black and white night video of Arlo Pro, unexpectedly, came out pretty sharp and detailed. It is difficult for security cameras to record in such a quality at night.The two-way audio is one of the most important and exciting features of Arlo Pro. Unlike other security cameras, Arlo Pro offers the owner the opportunity to speak directly to an intruder or visitor. For example, if you see that someone is entering your property, they can be easily deterred if you immediately alert them via your Arlo Pro. The voice sometimes sounds a bit robotic (because of the wireless aspect and energy saving), but you will quickly get used to it. One of my favorite things about Arlo Pro is the extensive Wi-Fi coverage. As we have tested, Arlo Pro works perfectly beyond 200 feet. It started to get problems when we reached 220 feet. Note: The Wi-Fi range may be different for you because it depends heavily on the router and the power of your Internet connection. Having a functional, easily navigable and intuitive mobile application is essential to meet the needs of a user of a security camera. How well we manage and use the registered data is closely related to the quality of the mobile application. That is why it is essential for Blink XT vs Arlo Pro Security Camera to offer first-class mobile apps. Before using the Blink security camera, you must familiarize yourself with the mobile application as this is the only way you can activate it.The mobile application itself is pretty awesome. It is user-friendly, intuitive and leads you directly to the next step to avoid any risk of misunderstandings or misconduct. The home page of the Blink security camera on both iOS and Android shows the latest photos captured by the camera. There is a folder icon in the upper right corner where you can view all recorded clips. If you want to delete old footages, simply open the folder and press the clip you want to view. And if there are clips that you have not watched yet, the Blink app will put a blue dot next to it, so you’ll notice what you need to watch. What I do not like about the Blink Security Camera is that there is no paid subscription option. In other words, if your cloud storage runs out, the only option is to remove the older clips so that the newer ones are included. In the ‘Camera settings’ section you can adjust your Blink security camera. All in all, the Blink app is pretty decent for this purpose. It has some nice features, it is easy to navigate and offers some great insights. There are a number of bugs and crashes, but the mobile application has improved a lot lately. With the latest updates Blink has solved the most problems that users have reported. The interface of the Arlo Pro security camera is fairly simple and easy to navigate. I own the Arlo Pro and have discussed this issue with other owners. The majority of Arlo Pro users highly appreciated the mobile application. They also said that some bugs and glitches had to be solved fairly quickly. I’ve had cases where the Arlo mobile app refused to load or crashed when I sent mobile notifications. Because the Arlo Pro is the first security camera that supports 2-way audio, the mobile application has just added the function. Popular Reading: Arlo vs Arlo Pro-Which Security Camara to Buy? This sometimes crashes and you may need to restart the mobile application. Fortunately, the latest update has solved the problems and it is more than a month since I had a similar problem. So we can say that it has now been resolved.If you are interested in the interface of the Arlo Pro security camera, I will show some images below that show perfectly how the app looks on the inside. Mode – The first part is ‘Mode’.there are 3 modes in Arlo Pro Security Camera;these modes are the Armed,the disarmed and the geofencing. For example, if your Arlo Pro is in “Enabled” mode, it will record a 5-second clip when it detects activity and send a notification to your phone. Devices – This is very simple and basic. Library – When Arlo Pro detects activity, a video is needed and stored in the library. If you later decide to view the images, you can do so by going to the “Library” section. it does not miss any unusual or suspicious activities. That is a very different level of home security, and the Geofencing mode of Arlo Pro Security Camera seems to work pretty well. I rarely have problems with it. In addition, Arlo’s mobile application enables the owner to create custom modes. So if you have different needs, you can create a mode that meets your requirements. What we need to talk about is the advantages and disadvantages of Arlo Pro and Blink Security Camera. In addition to everything we have discussed, we can not make the final call without knowing the pros and cons of these security cameras. To do this, we have made two diagrams with the pros and cons for both, Blink XT vs Arlo Pro. offer unique possibilities, both have all the essential functions of a security camera. When people buy smart gadgets, they often get confused and have questions without answers. They start looking at everything, in the user manual, forums, web,YouTube, etc. When they do not find the answers, the last resort appeals to the support team. If a company that is so important has poor customer service, they see customers running away. To be honest, it is essential for Blink and Arlo to have top quality support teams to answer every customer request.Fortunately, both companies are known for their responsive customer service. I tried to achieve both and found that they work at a high level. I have asked simple and difficult questions and the person with whom I have spoken has always given professional answers and tips. There are several ways to reach the support teams of Blink and Arlo. Also Read :Arlo Prо vѕ Cаnаrу Flеx-Which one to Buy? For Blink you can only send an e-mail and wait for an answer. However, they respond fairly quickly. So, yes, Arlo’s customer service is superior and much better. You will be answered within minutes and there are different methods to use. Before we conclude on our Blink XT vs Arlo Pro reviews, let’s compare these two security cameras once again. We have made a detailed graph that compares Arlo and Blink to the most critical aspects. By using this, you immediately know which security camera you need to purchase. We have discussed the most important aspect of these security cameras(Blink XT vs Arlo Pro) . They compared and assessed their functions. What I want to add is the kindness of third parties. As far as the Blink Security Camera is concerned, it is known that it is not so integration-friendly. Fortunately, it works with Amazon Alexa and IFTTT. Both Blink XT and Arlo Pro offer great functions and possibilities. These two security cameras are known and are best selling products on Amazon. Blink XT vs Arlo Pro have thousands of satisfied customers and today many view them as the leading products.However, we must choose one of these security cameras as the superior camera, so that the reader can decide which to buy. Arlo Pro is the leading security camera. With its innovative functions and improved capabilities, Arlo Pro can meet and exceed the expectations. I personally had security cameras from different manufacturers and none of them impressed me as Arlo did. will be integrated with the rest of Blink’s devices. Nevertheless, taking into account the fact that Blink XT is a newer model and requires much more testing, we can not say with certainty that it is as durable and reliable as Arlo. So if you want the best-selling, top rated and a well-built security camera, the purchase of the Arlo Pro is the right decision. The seven-day free cloud recording, being completely wireless, great recording options and integration with Amazon Alexa make Arlo Pro attractive and tempting. Certainly, Blink offers some great things, and it is a decent security camera. If you have a small budget and can not afford the Arlo Pro, buying the Blink XT can be a great decision because it is the best budget choice camera. Roomba 690 Review-Checkout this New Roomba 690 Reviews!